Le garçon mange une pomme. The boy is eating an apple. She is in the hotel. French has three words for the : le, la and l'. 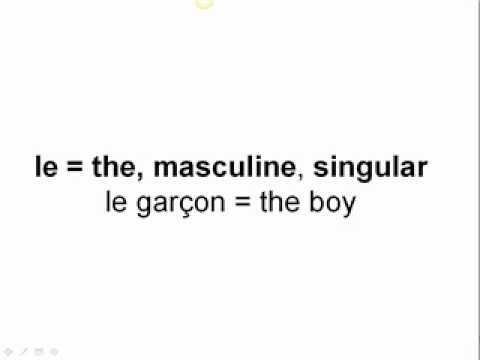 Unlike English, all nouns (words for things) in French are masculine or feminine. Use l' with words of either gender that begin with a vowel or the letter h.
Grammar jargon: le, la and l' are definite articles (the is the definite article in English). Why is it le écharpe and not l’écharpe? It is, “ L'écharpe" because of the vowel following the article. 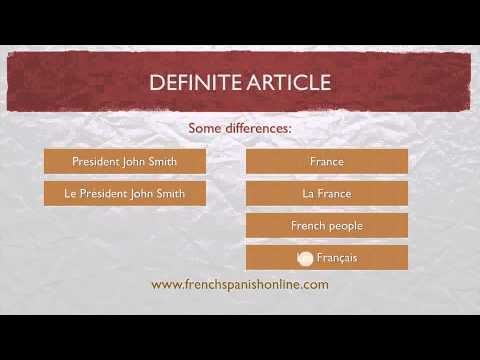 We offer a few lessons addressing the different cases where the definite articles are used differently in French. I still don't understand when do you do l'. Hi Megan, If the next word starts with the letter a, e, i, o or u, then you contract le or la to l'. If it starts with an h, but the h is silent/mute/unpronounced when the word is spoken (so in effect the next letter which is a vowel is the real first letter) then again, contract le or la to l'. It just makes the words a bit easier to say and that's reflected in how they're written. Does this answer your question? Are there no French nouns beginning with "y" ? Joakim, Yes, there are, but you don't contract in front of them: le yaourt, le yurt, etc. You would contract "le" + "y" though (the adverbial pronoun) - again because it's pronounced as a vowel here. "Je l'y rejoins" for example.